I don't normally ever write about gluten free products. I like to keep the blog all about eating out. However these products are so fantastic they are too good not to share! I'll keep it brief. This is my favourite gluten free bread. It healthy - low fat, high fibre. It's also dairy free. But most importantly it ticks the boxes in what you want in a gluten free loaf: decent sizes slices, it holds together, and it tastes GREAT. I can feed it to any gluten eating guest without complaint. And that's saying something! This is a real treat. It's great for topping yoghurt for breakfast. It's great for a cheat's crumble topping. It's great on it's own from the bag as a snack (I'm guilty!). There is the berry version with freeze dried raspberries and blueberries. And there is also an equally delicious pumpkin seed, almond and raisin version. 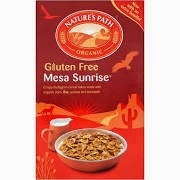 This is a great breakfast cereal that you can have daily. It's made from corn, buckwheat and amaranth which tastes great, and is a supergrain - high in fibre and many other nutrients. This muesli mix is great for mixing with other cereals and for topping yoghurt. It's filled with great healthy ingredients. Goji berries, cranberries, linseeds, quiona, buckwheat, sunflower seeds. I was super impressed with this pizza mix. The results are excellent! You can make your own thin crispy bases. Much better than the premade cardboard bases. These have great elasticity when you are rolling them out. Super easy to make, and worth the effort! 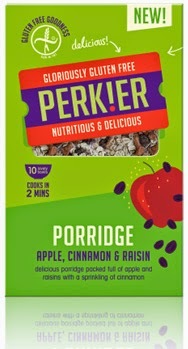 A porridge lover's delight! Superb flavour acheived with no added sugar. They also sell this in individual to-go pots that you can take with you to the office or on holiday. It's a classic flavour combination that hard not to love! These should come with a warning. "Once opened you will eat the entire bag". 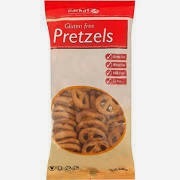 They taste fantastic, just like normal pretzels. Super moorish and I adore them. I like to pack them on holidays as a snack to go with my wine. Though they get eaten on the first day. Or on the plane. They don't ever last long! Solution? Buy multiple packs! Oh, and tell your gluten eating friends to get their hands off! These wraps are fantastic! 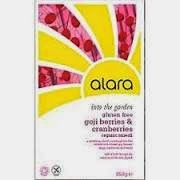 They are dairy and egg free also, and come in at a very healthy 99 calories. They are nice and floppy and don't ever split. I like to heat mine up for a few seconds in a pan before eating. They can be used for everything: breakfast burritos with eggs, chicken fajitas, lunch wraps, instant healthy pizza base. Anything! They also freeze well and a few seconds in hot pan or a microwave and bam, you're ready to go! The whole DS range of pizzas are fantastic. I keep one in the freezer for lazy days and emergencies. They have a great texture and wonderful flavour. 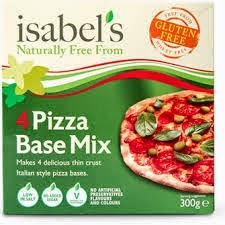 The best ready made gluten free pizza out there. This pasta is superb. 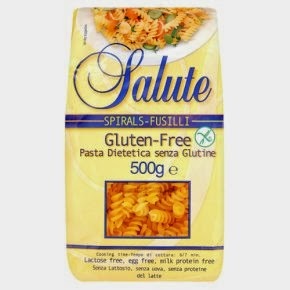 Gluten free pasta has come a long way in recent years and Italy in leading the way. This is entirely indistinguishable from normal pasta. It completely holds it's shape. You can cook it al dente. Indeed it is so good that I have had friends over for dinner who were shocked - "you can't eat that!". Why yes I can my friends. All of these products are available from Ocado and other online stores. Ocado wins in my opinion as the best gluten free supermarket. 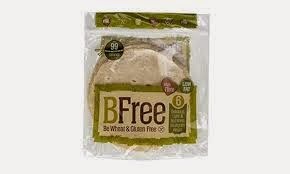 Even if you only use it once every couple of months just for your gluten free supplies it's worth it. Oh, that reminds me! I forgot beer! 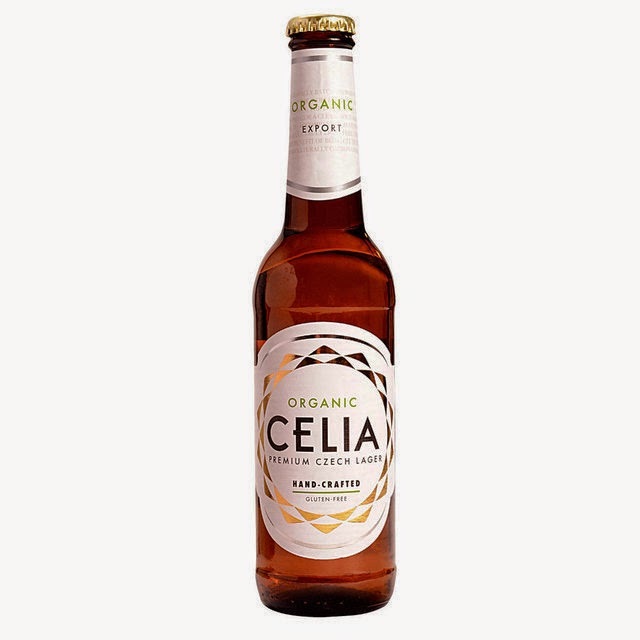 Shout out to Celia Lager - organic gluten free pilsner from the Czech Republic. oH...Great products.These are great breakfast that you can have daily.Good to see those products details from you.Website is col and I will be here for getting better updates.